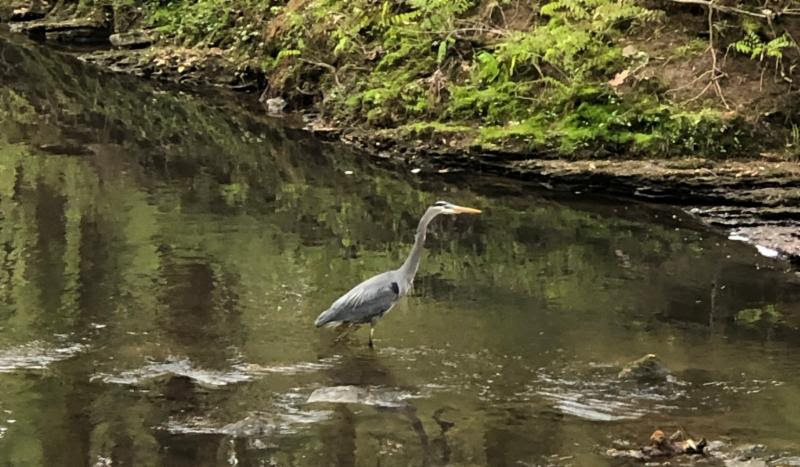 Last weekend I was on a morning walk with a friend when we spotted a beautiful heron in the creek. It took us by surprise on such a cold grey morning. The bird headed toward us walking very slowly and deliberately in the creek. It moved like a robot, one step at a time, almost like it was in a trance. Laser focused. Unfazed. Calm. Patient. It exuded a quiet strength and confidence as it moved through the water and up the bank. The heron’s movement was a stark contrast to what we often experience in our work and life. We tend to move like squirrels, darting from one task to another. Squirrels move erratically. They look like they’re driven by fear… running away from something as opposed to moving purposefully toward something. What deliberate moves are you making in your business, work or life? Sometimes those moves require more time than you’d like and a lot of heron-like patience. In your leadership role, you likely feel pressure to speed up, accelerate progress and achieve results. Keep stepping. Don’t be overwhelmed by the big goal. Take one step at a time. Slow your pace when you need to. Operating consistently at full speed is a fast way to burnout. At times you might even need to pause or stop to see an opportunity more clearly. Move in the direction that makes sense for you. Let your instincts guide you. If you feel like something is off, be willing to shift direction. Speaking of pace and patience, it’s been exciting to watch Auburn finally reach the Final Four in the NCAA tournament (as of this post). It’s taken many years for the team to get this far. 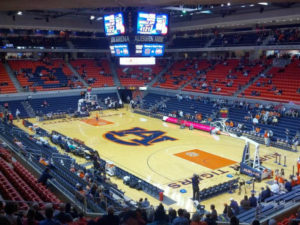 My son is an Auburn student. He admits he’s been a little distracted given all the excitement. Basketball requires quick thinking and speed. It’s thrilling to see a player think on his feet, react quickly in chaos and make the shot. At the same time, some of the best plays happen when a player slows down, calms down and follows a plan. He stands out from the pack and makes what seems to be an effortless shot. Decide what you need to do to improve your game. PS: If you’d like to learn more about the success we’ve had helping organizations and leaders achieve their goals, please let me know. If we have not met, I’d be happy to introduce you to WorkMatters services.